I do the same thing with cookies. For weeks every cookie I make will have sanding sugar on top of it. (Maybe because I'm too lazy to put them away? And since they are there...) Or I'll paint all my cookies. Or... currently... I'll make Royal Icing Transfers for every cookie set I design. And I was thinking that if you wanted to make them along with me, maybe you would like to know how I get those tricky transfers off the wax paper. I almost never break a transfer anymore. For the most delicate Royal Icing Transfers, I will cut a small square of wax paper for each one before piping the design. For medium risk designs, I will cut them apart after they are dry. 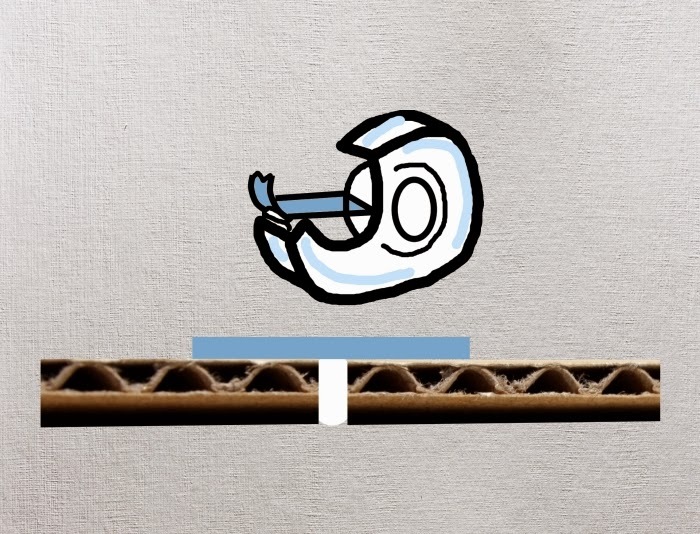 (For stable designs like a flower center or eyeballs... I never cut them apart.) 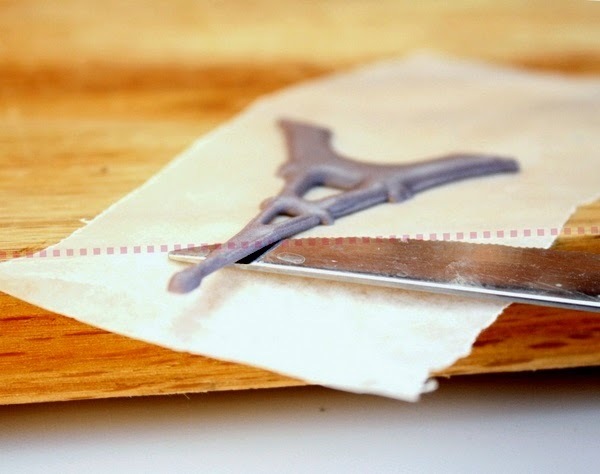 Place your Royal Icing Transfer on something hard and flat that has a sharp edge. 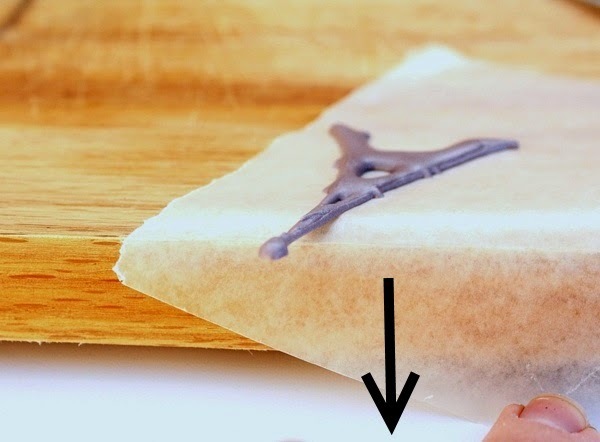 Bring the corner of your wax paper (or acetate or parchment paper) to the edge of your surface and pull it down sharply and slowly as it begins to peel away from the transfer. As soon as you see that it has separated, place a thin knife under the transfer where it meets the corner of your hard, flat object. This is also the very place where the paper starts peeling away. Use the knife to keep the cradle the transfer and keep it completely flat as you continue to pull the paper off the back of the transfer. Never try to peel the transfer off the paper. Don't pull up with the knife. Dry royal icing doesn't bend and you'll just end up breaking your transfer.Place the transfer gently back on top of the wax paper until ready to use. Piecing together cookies so they will STAY together. Can you save over mixed icing? Make hand cutting cookies as easy as possible.